Tickmill offer to all new clients $30 Exclusive No Deposit Welcome Bonus. 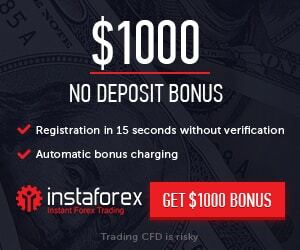 The $30 No Deposit Welcome Bonus is an ongoing free promotion for new clients where you will automatically receive a bonus of $30 when you sign up for a live account. Sign up free a new live account with us and instantly receive a USD $30 Free No Deposit Required Bonus. Don’t waste time and take advantage of our unique offer before it’s over.